President Barack Obama has written a line of computer code to help animate a character from Frozen animated movie. 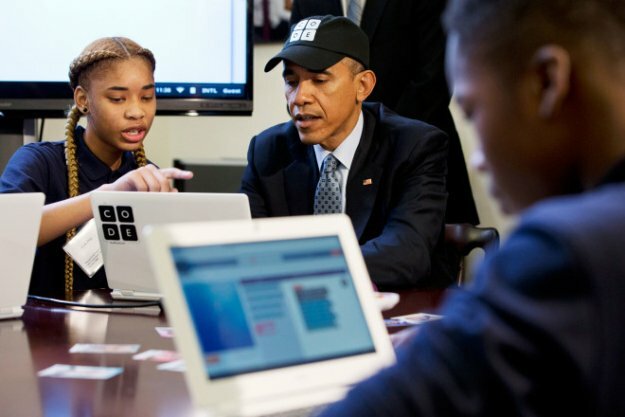 Barack Obama joined a group of pupils taking part in the “Hour of Code” project, a 60-minute introduction to computer science set up by the group code.org. A drive to widen access to introductory computer science lessons in schools across the US was announced on December 8. “While no-one is born a computer scientist, becoming a computer scientist isn’t as scary as it sounds,” Barack Obama said in a YouTube video. More than 48 million people signed up to get involved with Computer Science Education Week, currently running in the US, the president added. “Don’t just consume things, create things,” Barack Obama said.